Titan Robotics has just released a powerful new large scale 3D printer that will most likely prompt anyone interested in industrial-grade 3D printing to perk up from their afternoon workday slump and take note. But be warned–this isn’t meant for casual whimsy. The Atlas 3D printer is designed for epic printing. Living up to the qualities of its stalwart name, The Atlas has performed at top levels in rigorous testing, demonstrating the ability to produce larger 3D prints over and over with superior accuracy. This innovative and sturdy machine is meant for the 3D printing operator with heavy-duty needs. While Atlas, of Greek mythology, is most often associated in popular culture with cartography, the true story began with this son of Titan Iapetus and Clymene. In making his way through a battle against the Olympians, fighting side by side with his brother Menoetius–and losing–Atlas was sentenced by Zeus to hold up the heavens. While stories and myth vary, the true qualities associated with Atlas are endurance and strength, as he bears the inestimable weight of great and eternal responsibility on his massive shoulders. After completing intense testing sessions for over a year, the aptly named new 3D printer has been documented by Titan as producing massive functioning prototypes in just over 200 hours. Both the scale and components of The Atlas are customizable, with standard open loop NEMA23 stepper motors and Smoothieboard open source CNC controllers. Titan Robotics is one of those special companies originally founded by makers for makers. 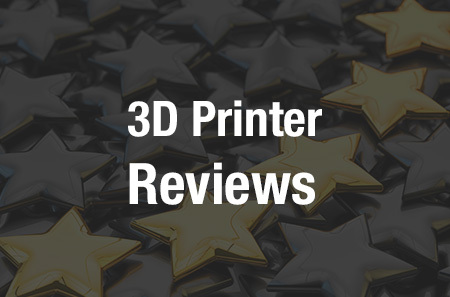 Building a versatile lineup of large 3D printers for hobbyists as well as manufacturers, their focus is on offering 3D printers built by them with high quality components at the most affordable prices. Titan Robotics began out of founder and maker Clay Guillory’s garage, gaining inspiration and steam as he was contracted with his first project to make a 3D printed prosthetic for an 8-year-old child. Not only is he a mechanical engineer who spends all of his free time designing and making 3D printers–Guillory is also partnered with e-Nable creating custom prostheses on his 3D printers for families in need. Is this a 3D printing option you are interested in exploring for industrial-grade use? 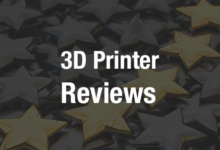 Discuss in the Atlas 3D Printer forum over at 3DPB.com.